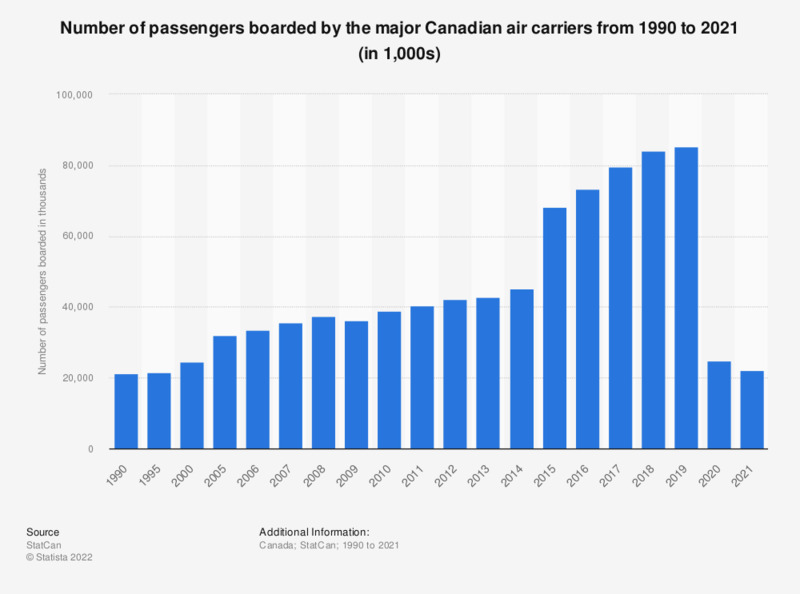 This statistic illustrates the number of passengers boarded by the largest Canadian air carriers from 1990 through 2018. In 2018, over 84 million passengers were boarded by the major Canadian air carriers, up from 79.5 million passenger in the previous year. Everything On "Airports in Canada" in One Document: Edited and Divided into Handy Chapters. Including Detailed References. Statistics on "Air transportation in Canada"